This is a Complete Dana 44 Front Differential for Early Ford Bronco. 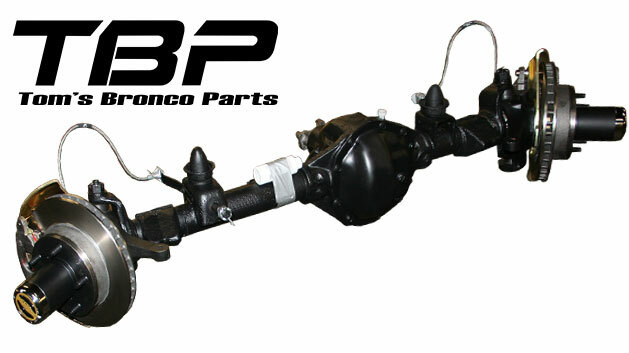 Dana 44 was the stock front end found in 1972-77 Classic Broncos, will fit 1966-71 as well. Reconditioned housings - checked for straightness, weld defects & excessive rust. When it comes to front ends, you have it your way by having us build a custom Dana 44 or Dana 30 to your specs. Select the gear ratio, locker options, drum or disc brakes, ARB, etc. We are happy to price out whatever options you want. Give us a call and ask for Matt.